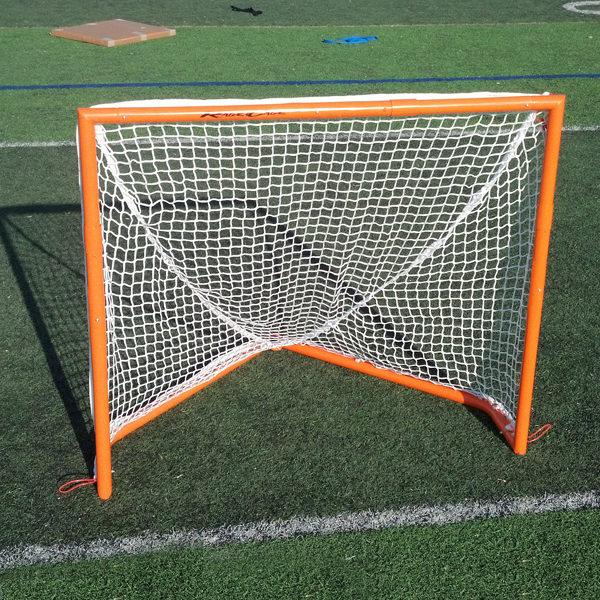 4’ Tall x 4’ 9” Wide x 41” Deep (122 CM x 145 CM x 104 CM) goal. 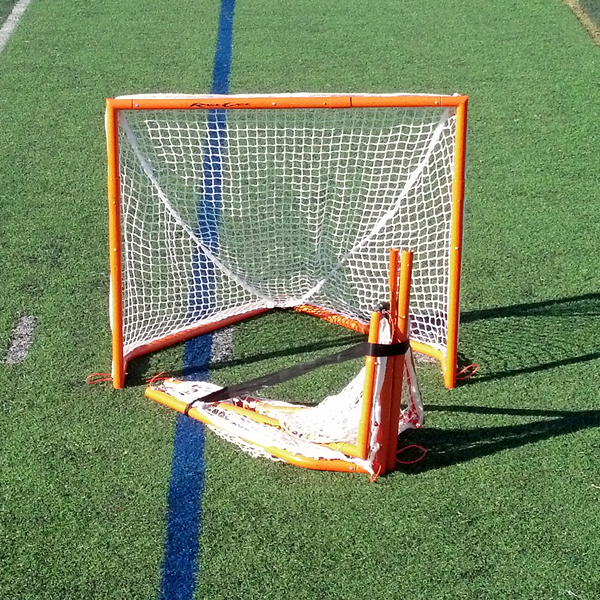 Improved one-time assembly required and includes a pre-strung 4mm net, ideal for indoor box games and outdoor bobble-head leagues. 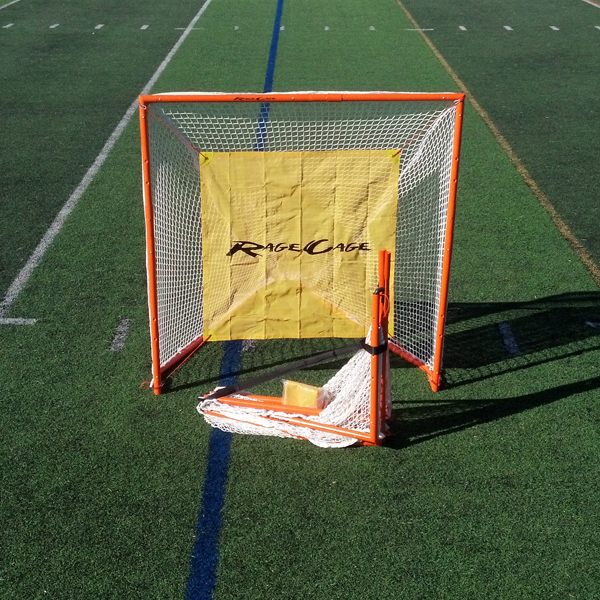 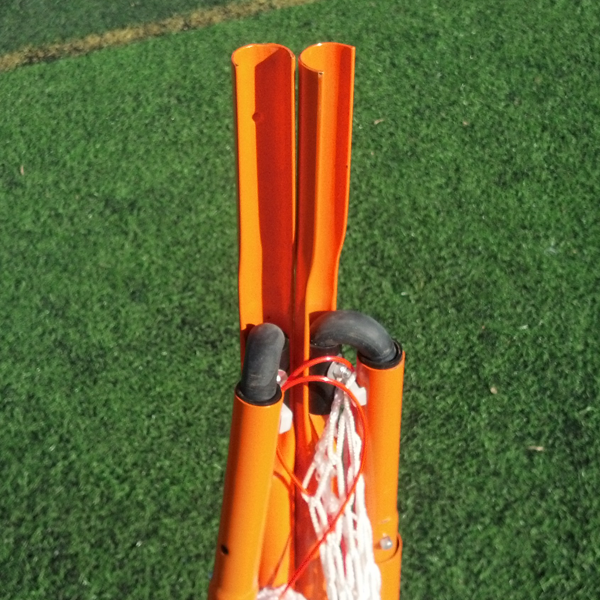 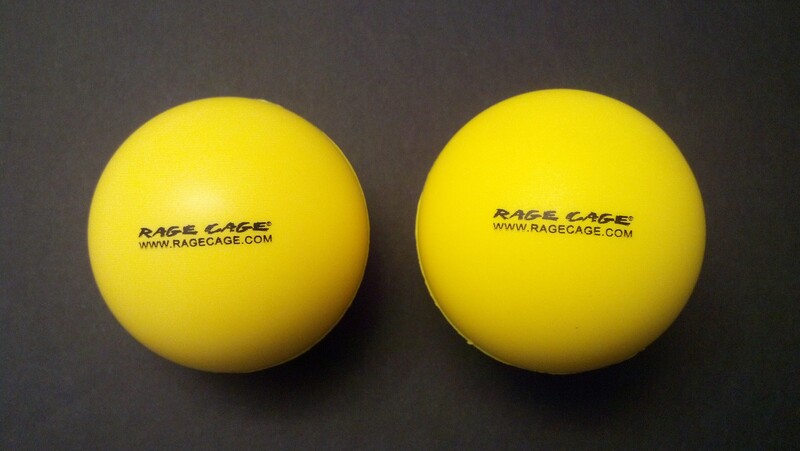 Its rigid 1 ¾” OD, 18 gauge steel frame had 90 degree square Welded corners and is powdercoated orange, folds in seconds, uses RageCage ultra durable net fastening system.